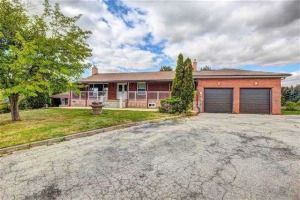 Spectacular 4 Bedroom, 3.5 Bathroom Detached Home Is Located On A Prime Location Facing Towards Park, Hardwood On Main Floor. Bright And Spacious Living/Dining. Large Family Room W/Fireplace. Master W/Ensuite And W/I Closet. Other Good Size Bedrooms. Large Family Size Kitchen With S/S Appliances. Entrance From Garage To Home. Lots Of Natural Light. Minimum 1 Year Lease For Qualified Tenants. All Elf's , Stainless Steel Fridge, Stove And Dishwasher. Washer And Dryer.